Do you know the name Sarah Pratt? 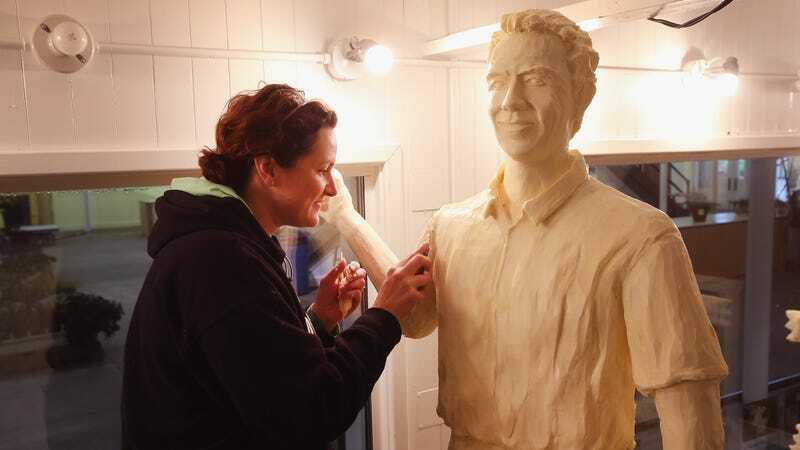 She is a legend in the world of butter sculpting, holding the title of official butter sculptor of the Iowa State Fair, and traveling across the country carving celebrities, animals, and other likenesses from chilled solid butter. She is the Michelangelo of the American Midwest. No other officials at the fair noticed the typo until after Pratt left town to work on other butter displays she does for other fairs around the country. But breathe easy, state fair-goers, officials say they have fixed the typo—it is, after all, made from butter. Pratt remains the Butter Queen in our eyes. Is it safe to leave butter unrefrigerated? What&apos;s the real difference between margarine and butter?